← Congratulations to Comunn Eachdraidh Nis! In the spirit of all things Yuletide we have forgone our Friday Photo and instead present the Christmas gift given to Lord Leverhulme from his son in 1918. 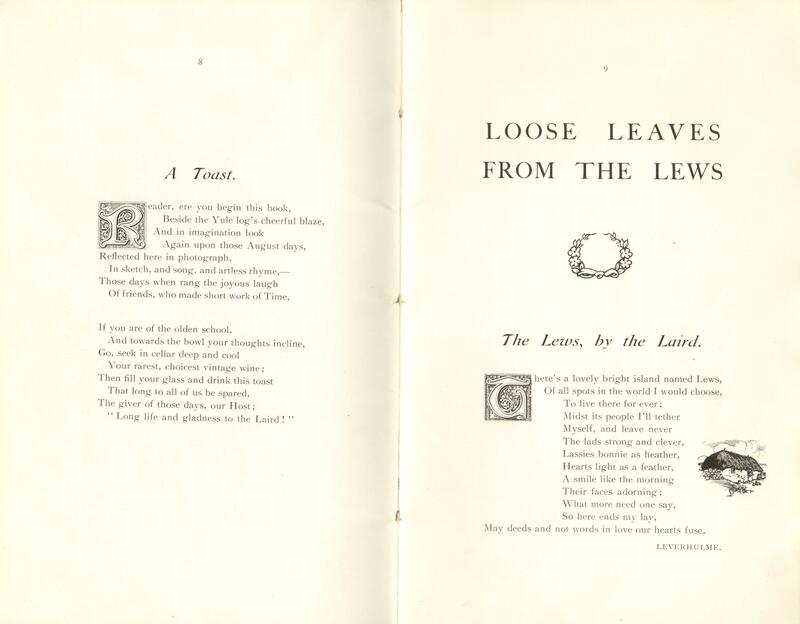 This booklet contains a series of poems, photographs and sketches created both by Leverhulme himself and guests during their stay in Lewis in the Autumn of 1918. What is very interesting is the tone of poem shown above. 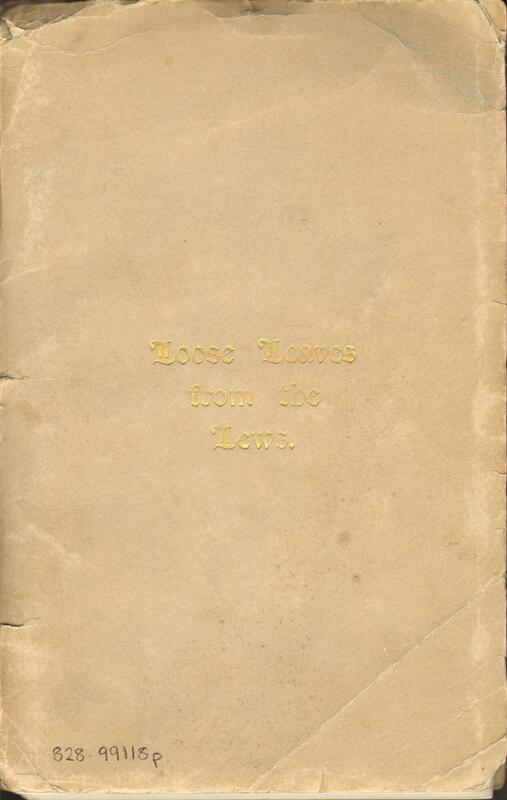 It was composed by Leverhulme and he seems to have a positive view of both the island and its people. Lord Leverhulme is famous (amongst other things, such as buying up islands for philanthropic reasons) for his quote ‘I know half my advertising isn’t working, I just don’t know which half’. I wonder if the failing advertisements rhymed? Anyway, enough literary snobbery, those who know their history are aware that the Lord Leverhulme honeymoon period was not to last, as we will see from next week’s Friday Christmas card. This entry was posted in Uncategorized and tagged Christmas, gifts, Lord Leverhulme. Bookmark the permalink. The poems text for those of you without eagle eyes! What more need one say. So here ends my lay. May deeds and not words in love our hearts fuse.